MANILA, Philippines - The road to football greatness makes its last stop today, February 8 at the Superbowl 50 at Levi's Stadium in Santa Clara, California. Avid fans can witness the live action on TV5! Watch the National Football Conference (NFC) champion Carolina Panthers and the American Football Conference (AFC) champion Denver Broncos match on TV5 and Hyper Ch.53 (Ch. 130 Hyper HD on Cignal), with an encore telecast at 7pm. It is, without a doubt, the biggest game of the year. UPDATE: Broncos won the Super Bowl 50! BREAKING: The Broncos are Super Bowl Champions!! 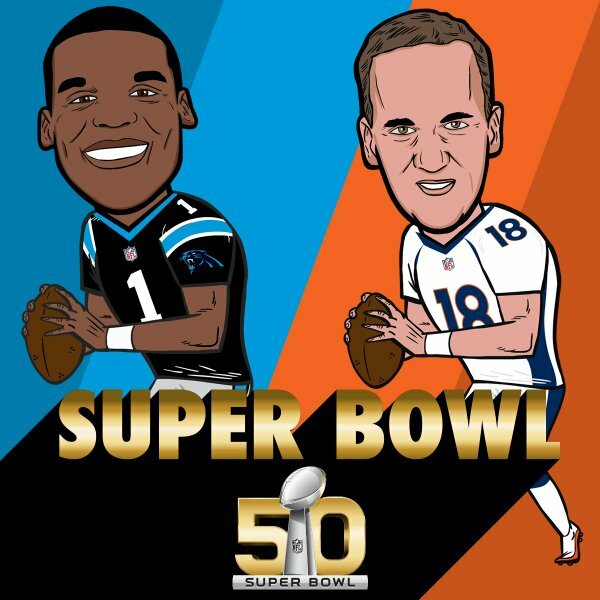 #SB50 NFL Final Score: CAR 10, DEN 24 Congratulations! The Panthers finished the regular season with a 15–1 record, defeating the Arizona Cardinals 49–15 in the NFC Championship Game and advancing to their second Super Bowl appearance since the founding of the franchise in 1995. Super Bowl is an American football game which will determine the champion of the National Football League (NFL) for the 2015 season. The game is the 50th edition of the Super Bowl, first played in 1967 in anticipation of the 1970 merger of the American Football League and the NFL.